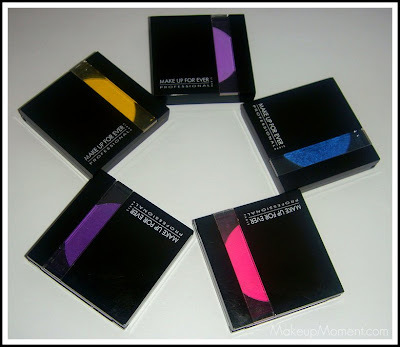 When it comes to high pigmented eyeshadows, Make Up For Ever knows how to do it well. I don't have many Make Up For Ever Eyeshadows ($19.00), but I am happy to say that I have not been disappointed with any of the ones I do have. The pigmentation, smooth blend-ability and texture, just wows me every time. The packaging is very sleek, and contains a magnetic closure. I appreciate the window strip on the cover, which allows me to see the eyeshadow color. I love how many different colors, and finishes are available. When I stop by the Make Up For Ever eyeshadow display at Sephora, I am always overwhelmed with the many options available. I just want them all, LOL! I have four matte shadows, and one frosty shimmered kind. The only thing I am not fond of is the hefty $19 price tag. I think that actually may be the reason why my Make Up For Ever eyeshadow collection is building up slower than usual, hahaha! 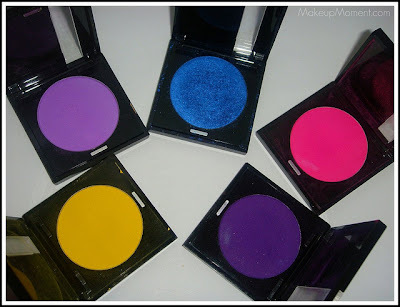 In the pictures below, I think it's pretty obvious that I am a fan of Make Up For Ever's bright eyeshadow colors. They are phenomenal. I can't rave about them enough! #2: Matte Yellow- I don't usually wear yellow eyeshadow, but I could not pass this one up. I like that this color is sort of like a more muted down bright yellow, instead of being an 'in your face' yellow. I like to pair this color with bronze eyeshadows. It makes for a pretty combination! 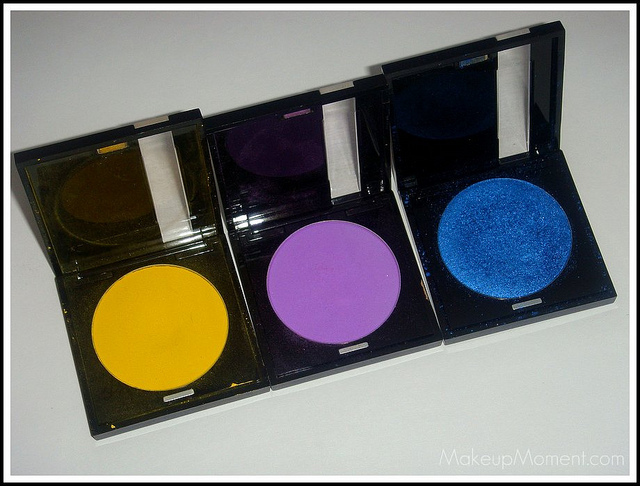 #9: Matte Lavender- Very pretty color that is a must for purple eyeshadow lovers. 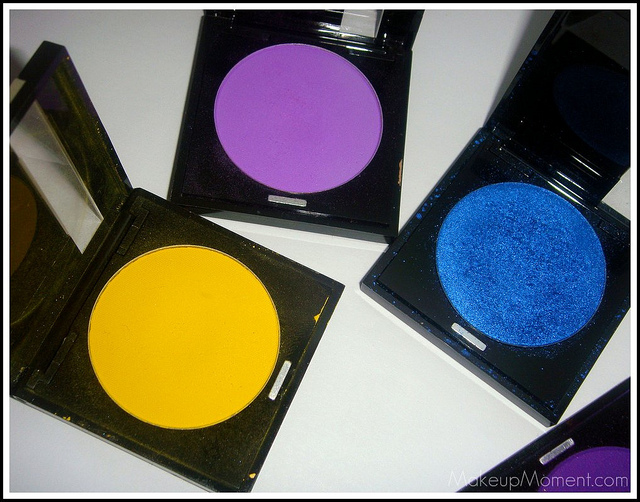 I like to use this color to blend out any harsh lines in the crease, when I do a purple smokey eye. #167: Shimmered Frosty, Medium Blue- On the Sephora website, this color is described as an "iredescent true blue", and I could not agree more. So pretty! I love that sheen-like effect it gives when it hits just the right light angle. 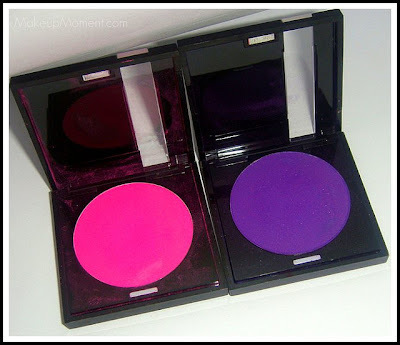 #75: Matte, Hot Pink- This was actually my first ever Make Up For Ever eyeshadow, and it's my most favorite. #75 is definitely the brightest pink eyeshadow color that I own. This eyeshadow is so pigmented, that it has the ability to stain my lids. #92: Matte Deep Purple- I think it is safe to say that this is probably one of Make Up For Ever's more popular eyeshadow colors. If you are looking for a pop of deep purple, #92 will not let you down. Love to use this color for creating purple, smokey eye looks. Do any of you like Make Up For Ever eyeshadows? What are your favorite shades? Disclaimer: I am not affiliated with any of the companies mentioned above. I purchased these shades for my personal use. 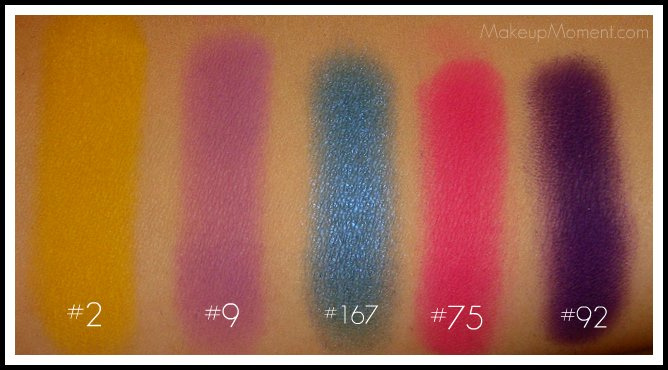 OMG these swatches are so amazing! I don't own any MUFE eye shadows, but whenever I stop by Sephora, I always swatch them lol. Thank You Becky! I hope you decide to try a Make Up For Ever eyeshadow. I am sure you will be impressed :) I want to try their more neutral colored ones, since all of the ones I have are bright. 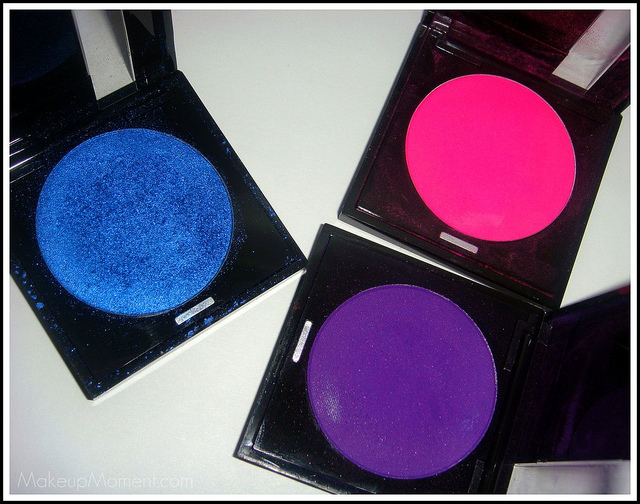 so pigmented and gorgeous, i love #2 and #92!!! Hey Alina, you should try MAC Fix Fluid again. Maybe it won't break you out this time...hopefully ^_^. My goodness, these swatches are still making me drool haha. 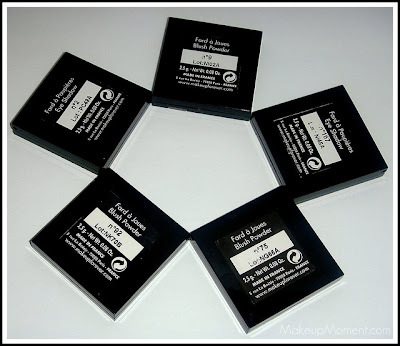 And I think I am going to give MAC studio fix fluid another shot. You are right, maybe it will work better for me a second time around? I hope so, because I really did like how bit looked on my skin.